We are taking steps to help JDRF achieve its goal of improving the lives of all people affected by type 1 diabetes (T1D) by accelerating progress on the most promising opportunities for curing, better treating, and preventing T1D. By joining our Walk Team and making a donation, you will be helping us to raise funds to directly support research with the greatest potential to conquer this disease. 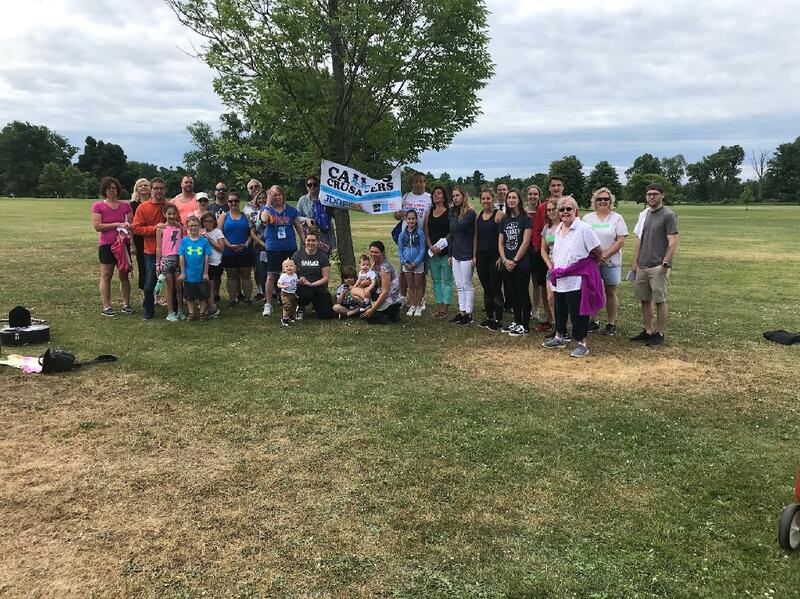 The JDRF Walk to Cure Diabetes is a fun, happy, healthy, and effective way to show your support for all those living with type 1 diabetes (T1D) and to raise funds for JDRF—the leading global organization focused on T1D research. Calla Michalski and Karen Dobmeier, the team captains, have type 1 diabetes (T1D). They both use insulin pumps and continuous glucose monitors, which controls blood sugars levels better, but still is not a cure for diabetes. Many people think type 1 diabetes can be controlled by insulin. While insulin does keep people with type 1 diabetes alive, it is NOT a cure, just a temporary solution. There are many daily challenges for people living with type 1 diabetes, there are many severe, often fatal, complications caused by the disease. Type 1, or juvenile, diabetes, is a devastating disease that affects millions of people--a large and growing percentage of them children. We are motivated by the courage and perseverance of those facing the everyday challenges of type 1 diabetes - they are the reason we challenge ourselves to give more, to do more, to achieve more. We challenge ourselves to make a real difference in the lives of those with T1D. Will you accept the challenge to make a difference by walking with us? All we need you to do is click on the "Join this Team" button, make a donation, and begin fundraising. It's simple, fast, and fun! Thank you for your support, and we'll see you on Walk day!